Awards: Trophies given to the top overall male and female winner as well as masters male and female winners. Medals will be given to the top three in male and female five year increment age group categories from 10 and under all the way to 65 and up. 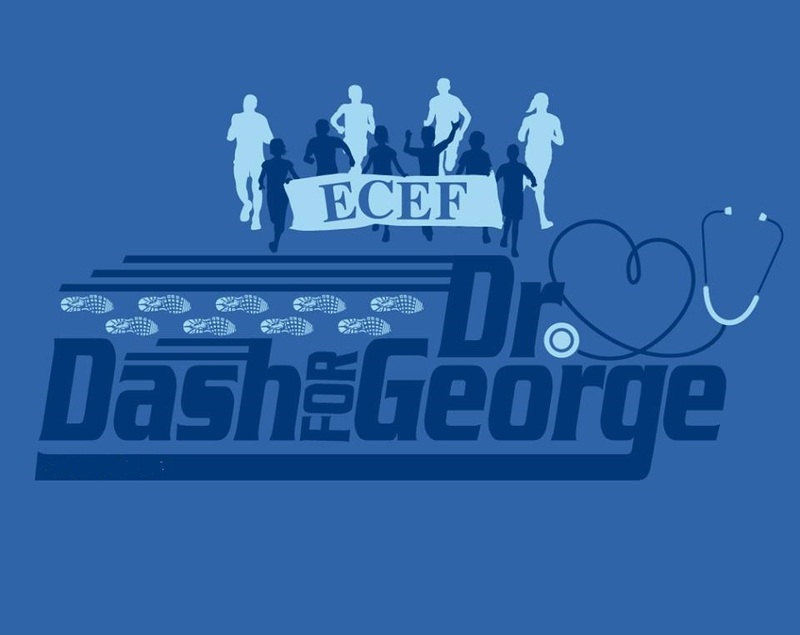 The Annual "Dash For Dr. George" is a fundraiser for the Esophageal Cancer Education Foundation (ECEF) in memory of Dr. George Harkins and Gene Barnes. Both were victims of Esophageal Cancer, currently the fastest growing cancer in the US. It is also the 7th deadliest cancer in the world. Early detection of the disease is very important. April is Esophageal Cancer awareness month.